Awake (by Kose) is one of the best seller among us, they changed the formula in Feb 2018. “Awake Herbal Vitalizing” line (ageing care line) is now “Awake Hydro Vitalizing Skincare” line, I am sure. And in this formula, seems there are no “Fluid” or “Emulsion”. If you had used “Awake Herbal Vitalizing Moisture Fluid”, probably it can be alternate that this “Awake Moment of Youth Active Moisturizer”. This Moment of Youth Active Moisturizer is a facial cream. Previously, the Awake Herbal line useless “cypress aroma” I like the scent of woods, but now, it reminds me natural or herbal image but probably artificial scent. I had expected this “moisturizer” might be a gel based cream, bi, it is an oil based cream. But it is not pretty much oily product (for me). I know some oily but sensitive skin will get acnes or something with using these oily products. I could spread on my face really easily, and some creams give me sensation but there are nothing irritation. To be honest, I often feel irritation with using Awake “Herbal” products and learnt that “herbal” “organic” or “natural” means not nice for the person who has not tough skin. It is mid of Winter, I am perfectly air-conditioned warm room or walking dry and cold wind. My basic skin condition is dryness, and the season is dry. I NEED both oil and water. Under such situation, this cream give me quite enough oil and my finish is pretty smooth. I am so satisfied. 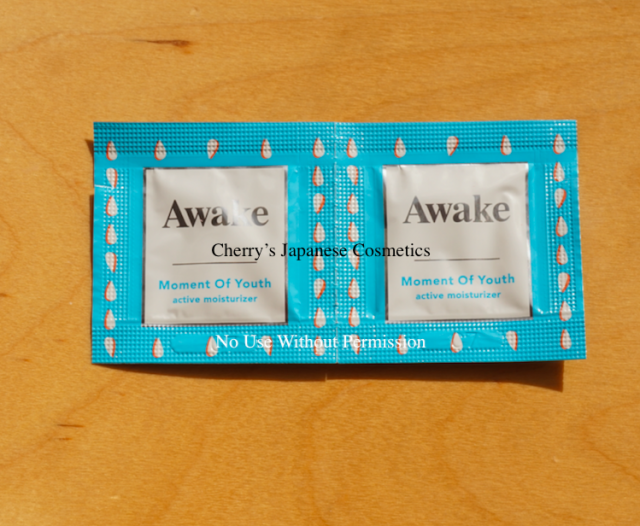 Please check the latest price, and order from here: Awake Moment of Youth Active Moisturizer. Here is the Ingredients list, translated by Google Translations, it is one the purpose for your understanding. Awake Daily Glow Liquid Hydrator is more than expected! No sensation!